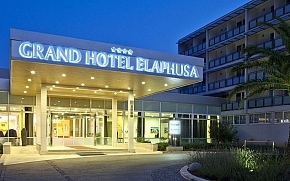 Just a walking distance away of the historical Mediterranean jewel, Rixos Libertas Dubrovnik Conference and Spa, will make its mark among the most treasured memories, while you will be experiencing 21st century sophistication and comfort. One of the trendsetting meeting and incentive cities is surely Dubrovnik, Croatia. Whether you choose any part of the year, pleasant climate and charming people will fit any of your events. 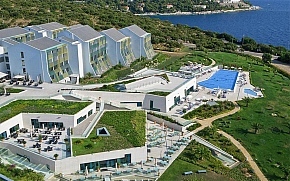 The ultra modern hotel Rixos Libertas Dubrovnik, offers wide variety of services and facilities with only minutes from the historic attraction, Dubrovnik’s Old Town. 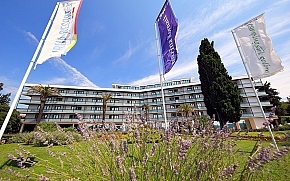 Rixos Libertas Dubrovnik is an ideal place for conferences, small and large meetings, various exhibitions, presentations, themed events, gala dinners, fashion shows, etc. It offers 9 halls, 1 dividable room in 3 sections for up to 950 seats, as well as 6 other smaller meeting rooms and exhibition area. The conference center has two entrances, one through the Hotel other one directly to the conference center; all meeting rooms are equipped with high technology and internet access in all meeting rooms. Services offered to conference and incentive organizers are welcome desk, audio - visual equipment, technician, group check in and group check out, coffee breaks, gala dinners, cocktail hours, welcome drinks, custom made menus, etc. Rixos Libertas Dubrovnik offers you many choices with is one and only Rixos experience, only minutes away whether you’re organizing a meeting or a banquet, from Dubrovnik Old Town. 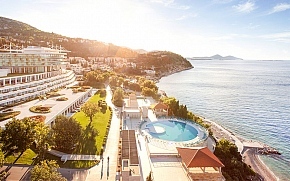 Rixos Libertas Dubrovnik offers distinguished facilities and exceptional service, tailor made for your needs. Our team of professional meeting and social function planners will ensure that you get the finest event planning and on-site assistance available. Rixos Libertas Dubrovnik has six fully equipped meeting rooms with wi-fi connection, an exhibition area and one multi-purpose banquet space flexible to accommodate groups from 10 to 1000. Whether you’re organizing a meeting or a banquet, Rixos Libertas offers distinguished facilities and exceptional services, tailor maid of your needs. Our team of professional meeting and social function planners will ensure that you get the finest event planning and on-site assistance available.